This post has been parked at the bottom of my drafts, only to have just been discovered now! 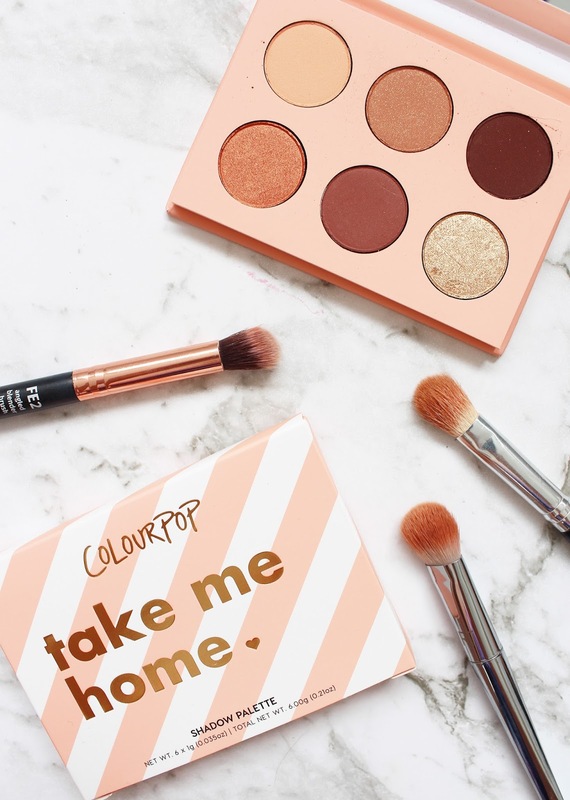 Unfortunately, this palette; the adorable Take Me Home Mini Shadow Palette, is no longer available on Colourpop but most of the shades included are available as single shadows or in other palettes so this should hopefully still be a relevant and helpful review. If you already own this palette, you are very lucky because I think it's such a high-quality palette with some perfect shades included. 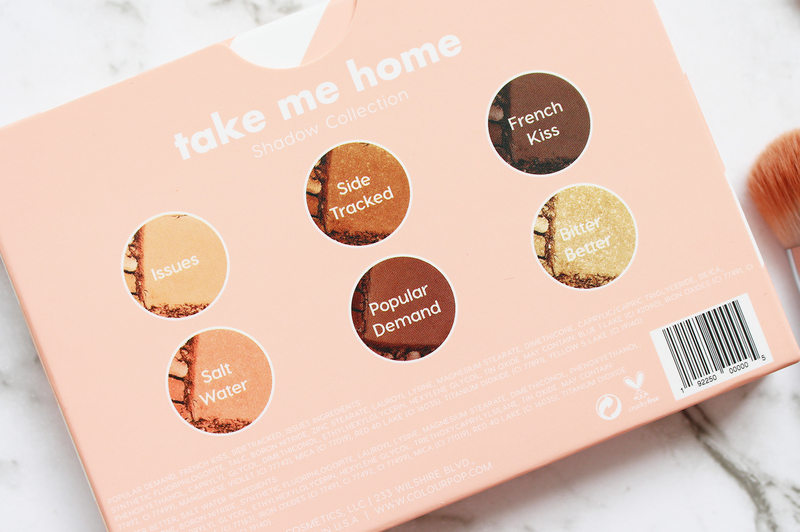 Take Me Home is a nifty, very travel-friendly sized palette with six shades inside at 1g per pan. You have a couple of matte shades and some beautiful shimmers in warmer tones. As with other Colourpop palettes, the eyeshadow quality blows me away. The mattes are so buttery and smooth and the shimmers and metallics always pack a high-intensity punch. You can blend these out with no issues and they are a pleasure to use. ISSUES | matte pastel peach - this shade can be purchased as an individual just as a magnetic pan or in a compact here. SIDE TRACKED | matte terracotta with gold flecks - this shade can also be purchased individually here. 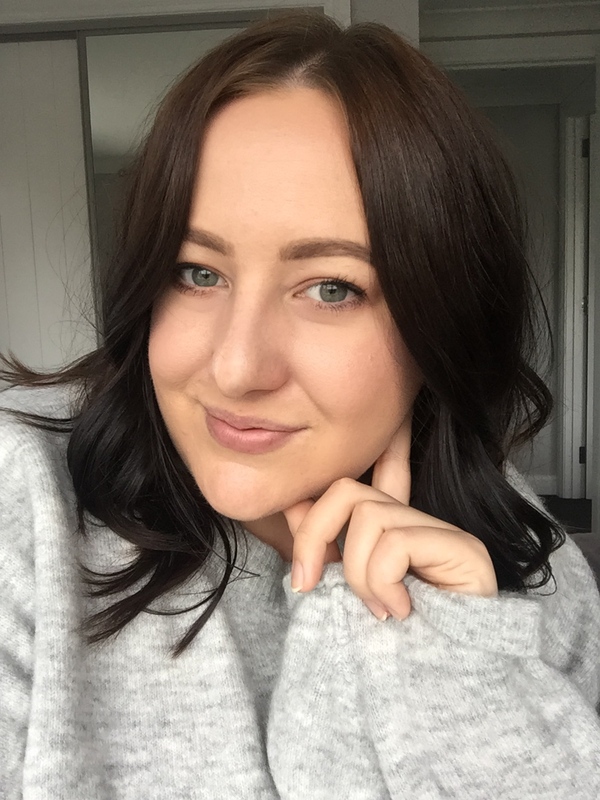 FRENCH KISS | matte medium chocolate brown - this shade can be found in the 12 Pan Yes Please! 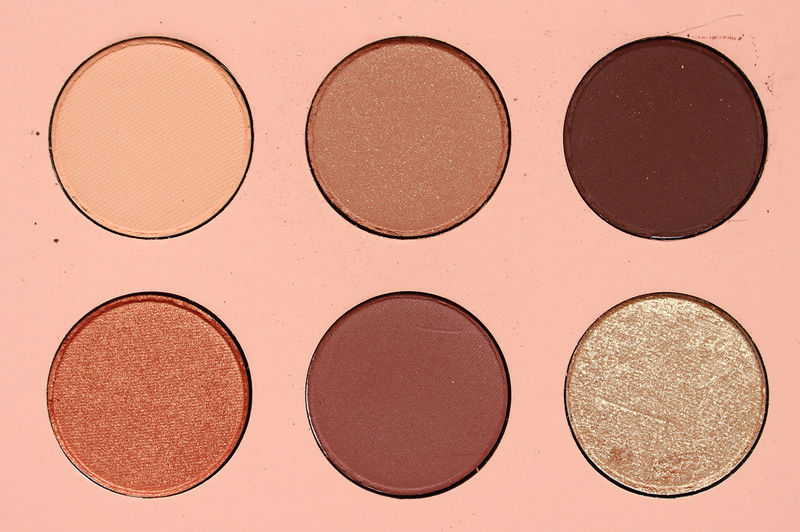 Pressed Shadow Palette here. Would you believe this is one I don't own!? SALT WATER | metallic golden rose - this is one of my favourite shades in the palette and is sadly discontinued and not available individually or in another palette. According to Temptalia, similar Colourpop shades are Starshine and Rayon. POPULAR DEMAND | matte red brown - this shade is available in the currently sold out Sweet Nothings Pressed Shadow Palette. It hasn't been removed from their site, so a restock may be happening in the future. BITTER BETTER | metallic soft gold - you can find this shade in the I Think I Love You Pressed Shadow Palette, which I love and you can read my review of it here. The Limited Edition Take Me Home Palette may be gone, but thankfully most of the shades are available in other palettes. It was only USD $12 and they often bring out these smaller palettes every now and then, or alternatively, you can build your own with their extensive selection of single shadows. Have you got many Colourpop eyeshadows?